Robert joined the youth set up from Charlton Athletic at the age of 16 and soon established himself as an important member of the Under 18 squad. He made his senior debut just after his 18th birthday in the Nationwide Trophy defeat at Kingstonian. Although he was signed for the first team, his chances were limited to mainly substitute appearances, although he played for the Welsh under-21 side during his stay. In August 2003, he fractured his kneecap during a training ground accident which kept him sidelined for four months. He went on loan to Stamford in January 2005 after struggling to regain form but was eventually released on 9 May 2005. After an unsuccessful trial at Peterborough. he joined Cambridge United at the beginning of the 2005/06 season on a monthly basis, before joining Kettering Town in October, but was released again in December 2005. 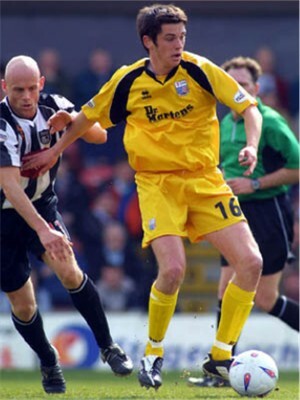 He joined Gainsborough Trinity on 5 January 2006, before having short spell with Stevenage Borough. He was signed by Jim Smith at Oxford United at the start of the 2006/2007 season after impressing during a short trial and went on to score an impressive 25 goals in 60 appearances during his two year stay at the Kassam Stadium. After a change of management, Rob was placed on the transfer list in January 2008, and went on loan to Wrexham later that month before being released in the summer. On 24 July 2008, he signed for Newport County of the Conference South, but then moved to Mansfield Town in January 2009. In some 57 appearances, he scored 23 goals, but found himself out of favour midway through the 2010/2011 season. On 28 January 2011, Rob joined Conference side Grimsby Town on an 18 month contract. He left at the end of the 2011/2012 season, joining fellow Conference side Lincoln City on 21 May 2012. In just his third game for the Imps, he was stretchered off in the game at Newport County on 18 August with a dislocated ankle injury, which kept him out for the remainder of the season. On 9 April 2013, Rob was released by mutual consent, and signed for newly promoted NPL Premier side King’s Lynn Town on 15 August 2013 despite being several weeks away from full fitness. He finally returned to action on 7 September 2013 after a year out, scoring the winner for the Linnets as a second half substitute within 30 seconds of his debut. He left by mutual consent on 3 March 2014, before signing for NPL Premier side Ilkeston some ten days later. He spent the 2015/16 season with Nuneaton Town before joining Basford United prior to the 2016/17 season, but sustained a serious injury on his debut. He took on a player-coach role ahead of returning to action.